Why it matters: Creative invested $100 million and more than 20 years into trying to figure out how to make headphones sound natural. 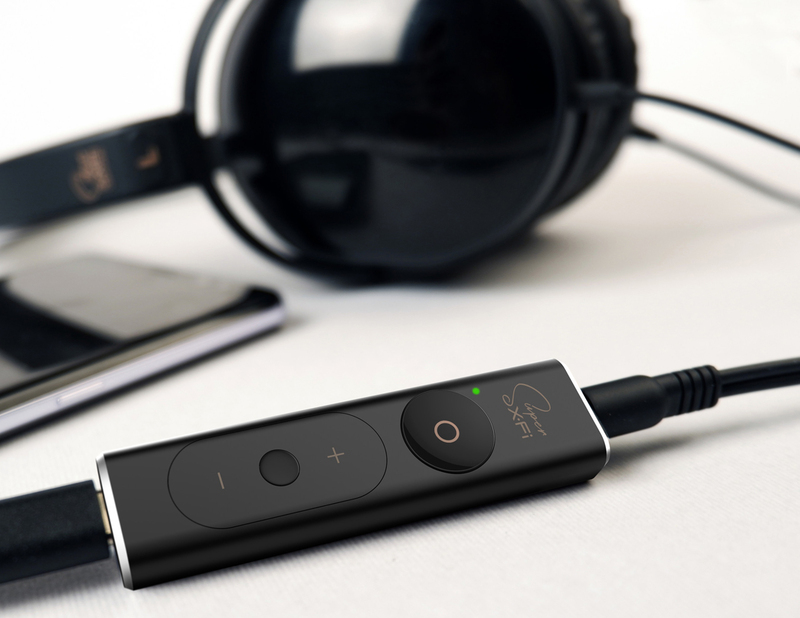 The fruits of that labor, the Super X-Fi headphone amp, is finally heading to the US. Creative hasn't had a major hit in years but this could propel the company back to the forefront of audio innovation. Creative Technologies, the digital audio specialist best known for its Sound Blaster line of sound cards, is bringing its Super X-Fi (SXFI) Amp to the US following a successful launch in its home country of Singapore earlier this year. Think of the magic of holography, but for audio, and for headphones. The SXFI Amp utilizes a 32-bit, 128dB AKM AK4377 DAC that yields up to 120db SNR and 0.0003% THD. It supports headphones with high impedances of up to 600 ohms but you’ll get the “best experience” with Super X-Fi certified headphones. Supported input formats include 2.0 / 5.1 / 7.1 channel, 24 bit / 96kHz. USB Type-C is used for input and 3.5mm is used for output. The concept of virtual surround sound has been around for years and usually affords mixed results. Creative’s device seems different, however, based on early feedback. It won a Best of CES 2018 award from AVS Forum and CNET described the tech as “frigging mind-blowing.” PC World said it was the best demo of CES and the product they are most looking forward to reviewing this year. Pre-orders for Creative’s SXFI Amp open in the US on November 1 priced at $149.99. Early adopters will also receive a complementary pair of Aurvana SE Super X-Fi certified headphones with their order, a $69 value. As CNET points out, if you’re going to be spending $150 on a headphone amp, you’ll probably want to pair it with a decent set of headphones. Apple EarBuds sounded much better with Super X-Fi turned on, the publication said, but the best experience came with the aforementioned Aurvana SE headphones.